Today I thought I would show you a vibrant orange jelly to go along with our bright sunshiney weather as of late. It's freaking hot out here! 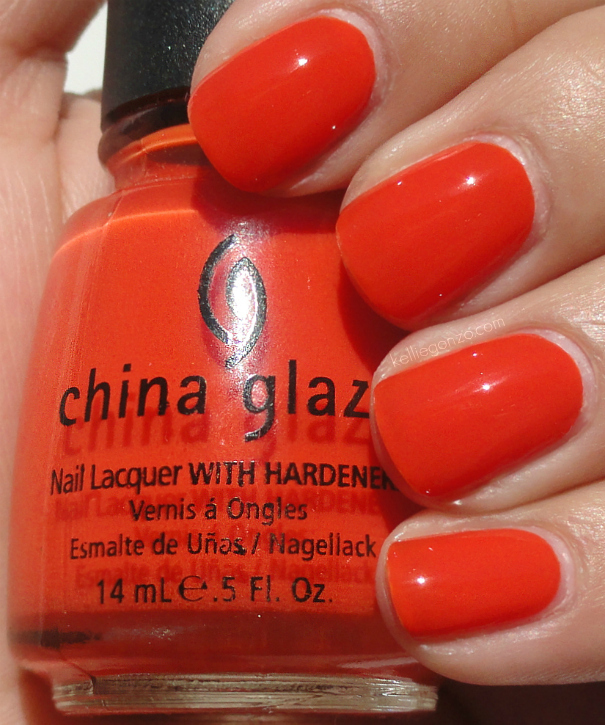 Style Wars is from China Glaze's Kicks Collection of Summer 2009, full of bright shades that really pop. I almost have the full set, I just ordered a few more from Victoria's Nail Supply. This is three coats of pure jelly goodness. A rather opaque jelly but I wouldn't call it a crème, maybe a jelly crème. The perfect mix of the two finishes. This is a reddish orange but not too red, very flattering on my olive complexion I think. 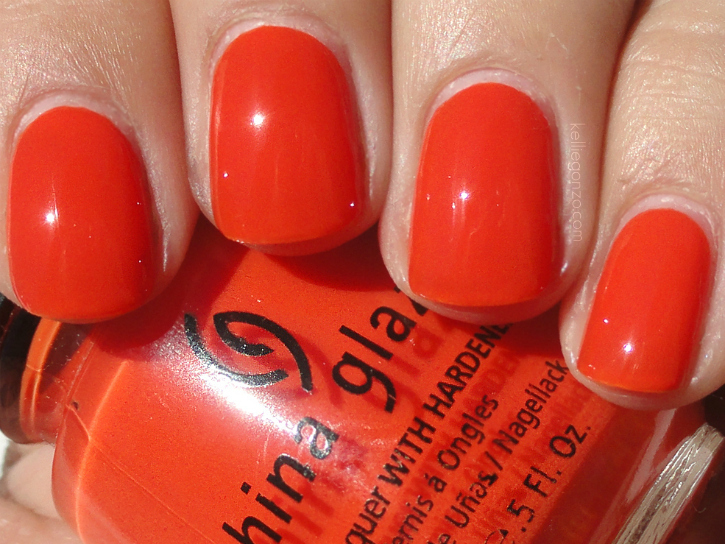 I also have a coat of China Glaze Fast Forward Top Coat on to make it super shiny. Have a great weekend sugar pies!